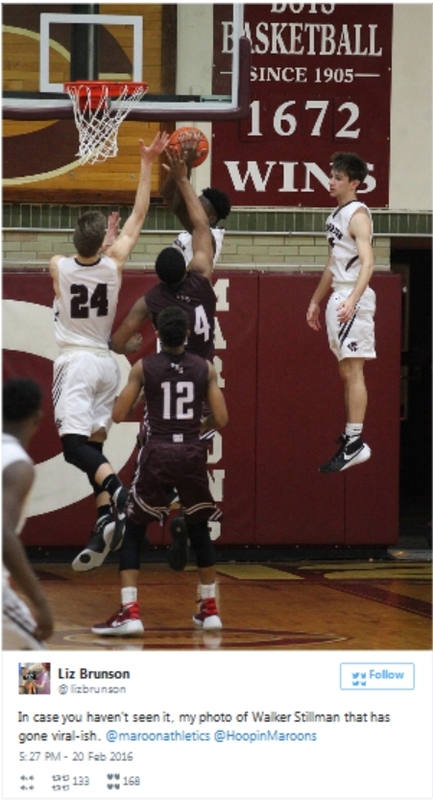 The photo of high school basketball player Walker Stillman at the right has caused a lot of speculation over the last couple of days. Is it real? Or is it photoshopped? It turns out that it's real. “You wouldn’t believe the attention,” photographer Liz Brunson told the Champagne News-Gazette. Stillman's mom, Jane, who is also the assistant principal at the school, plans to frame the picture. Those of us who are already old can empathize.